This burl wood mirror #103 is sold! 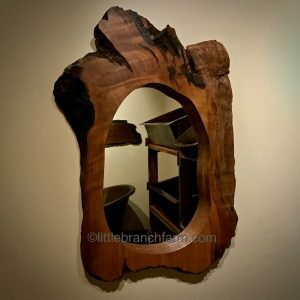 We have other wood slabs please call or email for more availability and sizes. 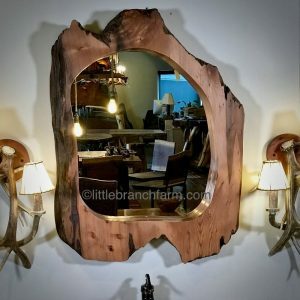 56″x 38″ 3″ Rare Claro walnut burl wood mirror. These are limited availability. 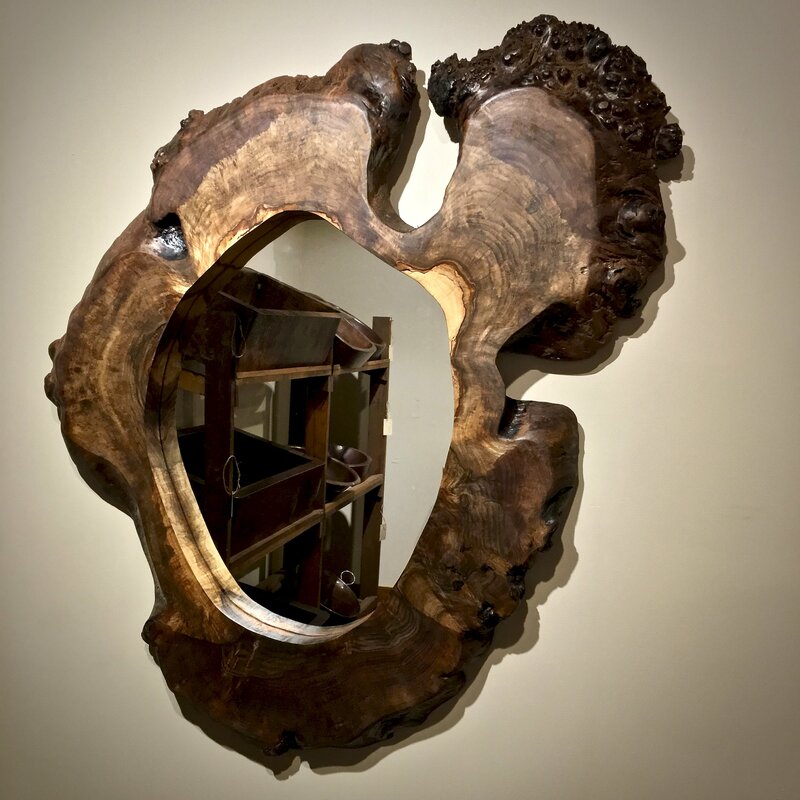 Unique Walnut burl wood mirror built from a live edge Claro walnut burl harvested from a dead standing tree. 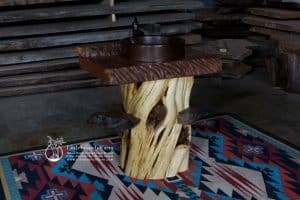 These are truly a one of a kind thus the limited production and sizes. Please contact use for other size options. 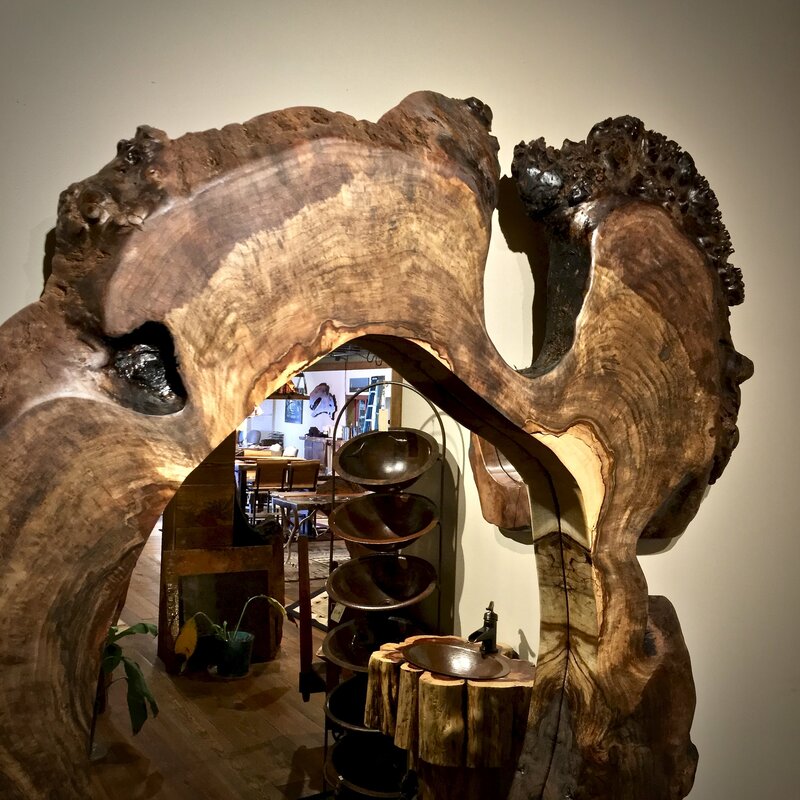 Burl wood of all species in highly sought after buy DIY woodworkers and natural wood furniture makers. 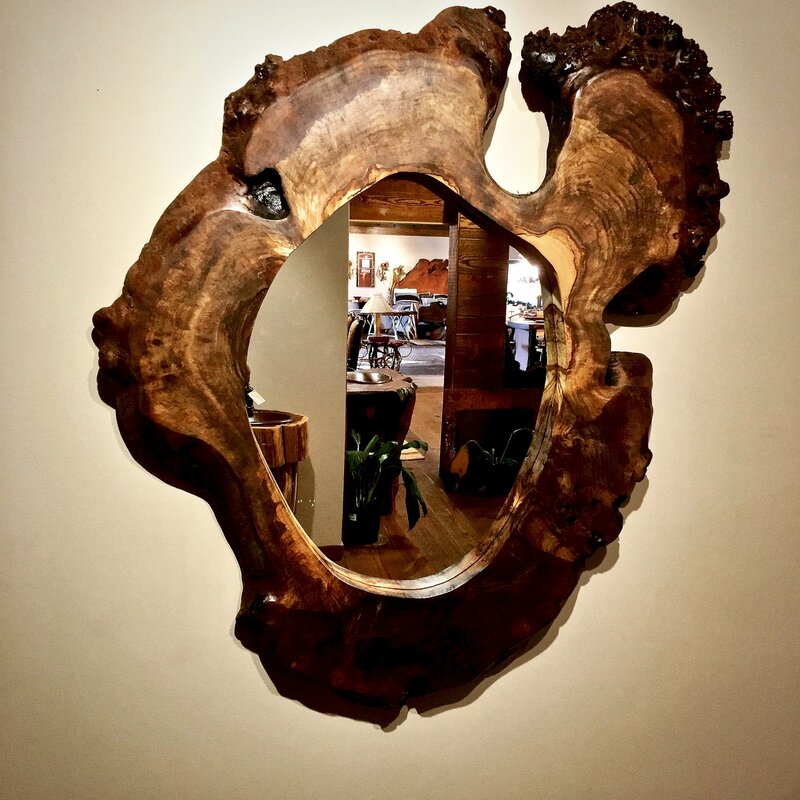 This burl was hollow thus making it a great choice for a rustic wood mirror. 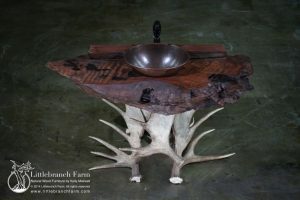 Also, other uses for this live edge wood slab is a natural wood table or natural wood coffee table. As always we welcome orders!